Good morning! High school reunions are always fun....hubby grew up in So. Dakota but he has made the trip back a few times to attend some of his. Compared to mine his was small and he had a large group of friends that have stayed in touch pretty well over the years..especially considering he moved out of state. I on the other hand came fro,m a HUGE high school here in California, and stayed in touch with my two best friends anyway. We lunch together frequently to this day. But we only went to one of my reunions (the 15th I think?) and honestly while it was nice to catch up with some of them, a bit, I was done after that, lol. My "good" friends I see all the time. Looks like quite the storm..thank God no one was hurt. You really have had a wet spring. California could sure use some of that. We were supposed to get rain these last couple of days and got "maybe" a light misting once or twice. And now this week it's into the 90's again...sigh. Not ready for heat. Going to be a LONG dry summer. I am as anxious (almost,. haha) as you are to get into that new house. It's been a long anticipation. Enjoy the rest of your week! Thank you for visiting my blog and leaving the sweet comment. Love the direction the laundry room is headed in. Can't wait seeing the final results! Building a house is challenging. I love that ceiling ... nice that you're going to get a fun room. Love the ceiling color!!! Everything is really coming along. Enjoy your week, Lea. Can't wait to see the laundry room décor - sounds amazing! My husband and I went to our 45th last September. It was a blast! Love all your photos, look like you had a great time. That was some storm that came through your area. Your house is really coming together, I'm thrilled for you! Your laundry room ceiling color is gorgeous!! I look forward to seeing the finished room (and the whole house!!). Everybody at the reunion is so good-looking! I absolutely love the color of your laundry room, Lea! 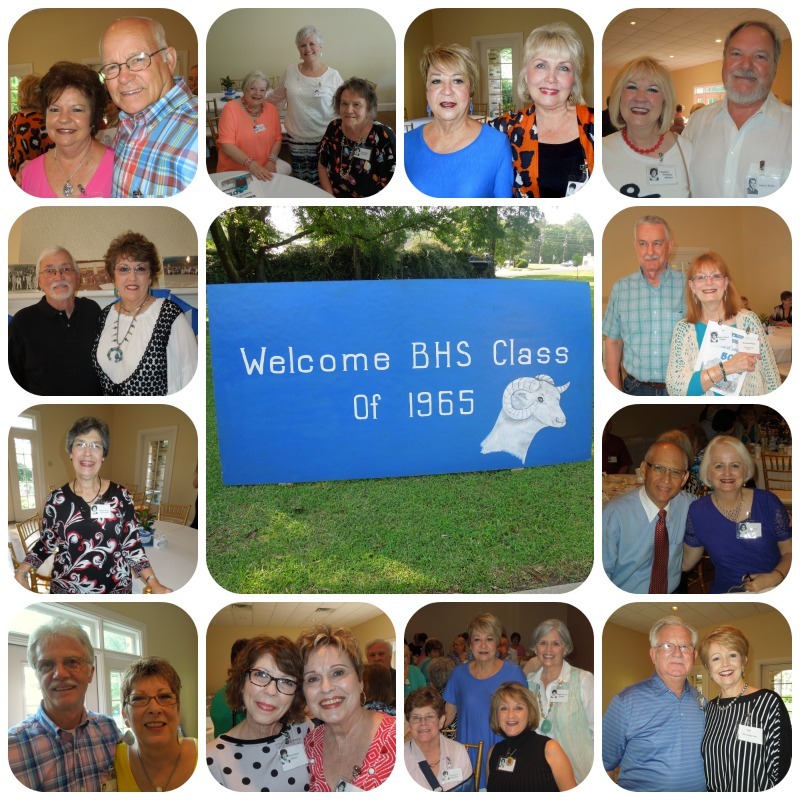 Happy you and your hubby had such a fun time at his 50th HS reunion! 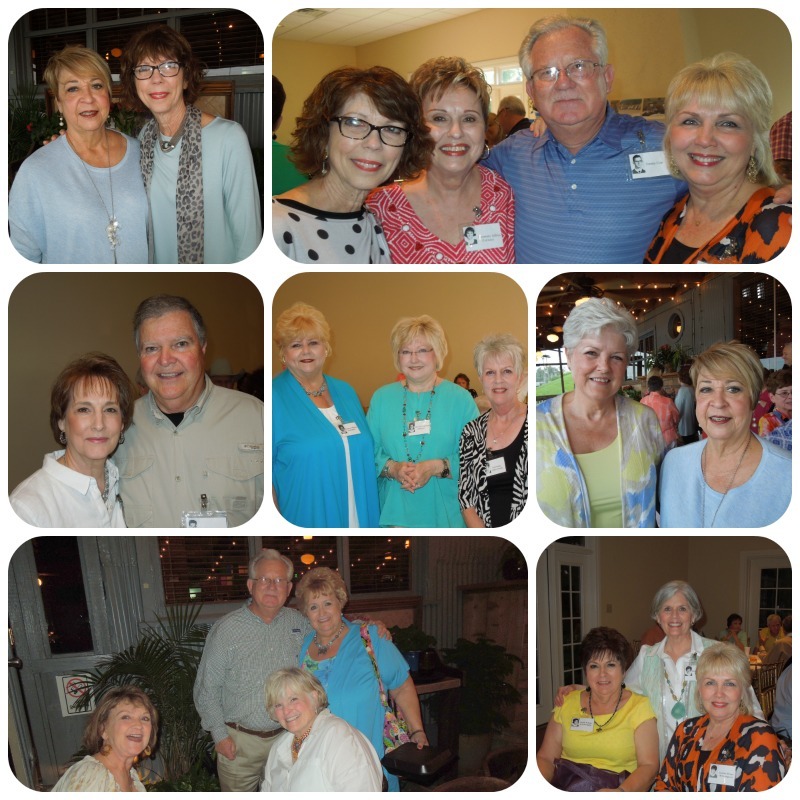 How fun to go to a reunion after 50 years! I connect with many of my high school friends on Facebook but it's not the same as seeing them in person. It sounds like a lovely time. I love how your home is coming along. I love the bathroom tile; the neutral color to it. OH! I just love class reunions. how wonderful that many have stayed in touch, beautiful photos! 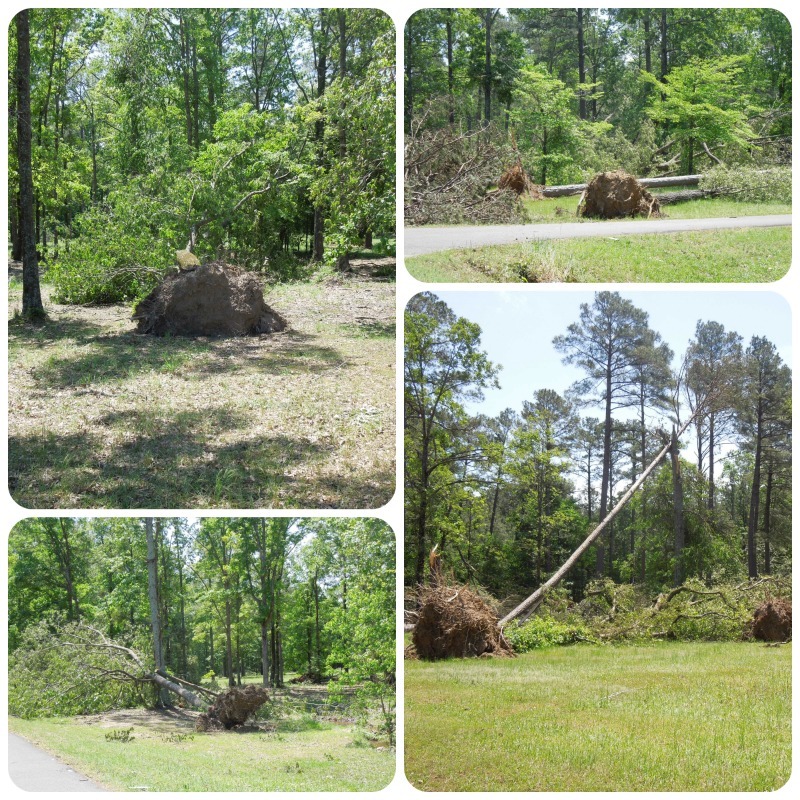 Sorry about the storm, and glad no one was hurt! 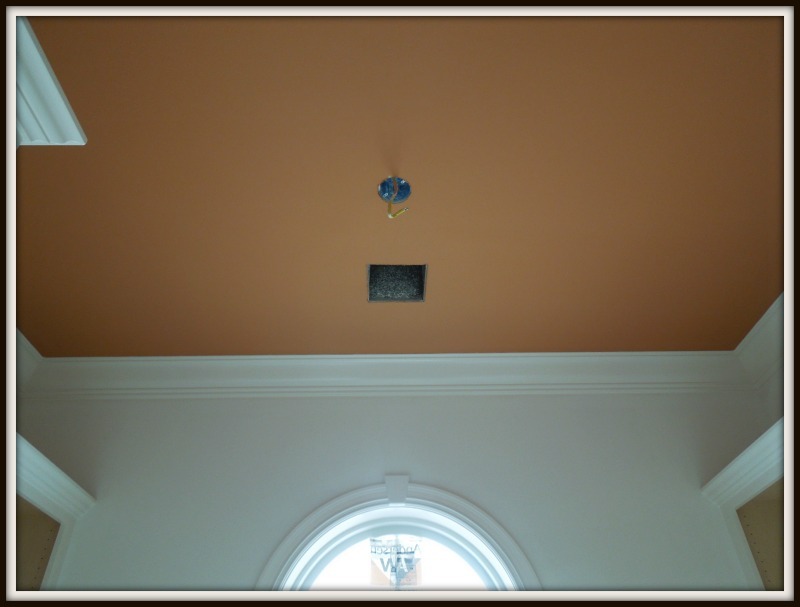 love the color you have chosen for the laundry room ceiling , also looking forward to seeing the end result, and that bathroom tile is gorgeous! And now to your house. I know it is going to be stunning. 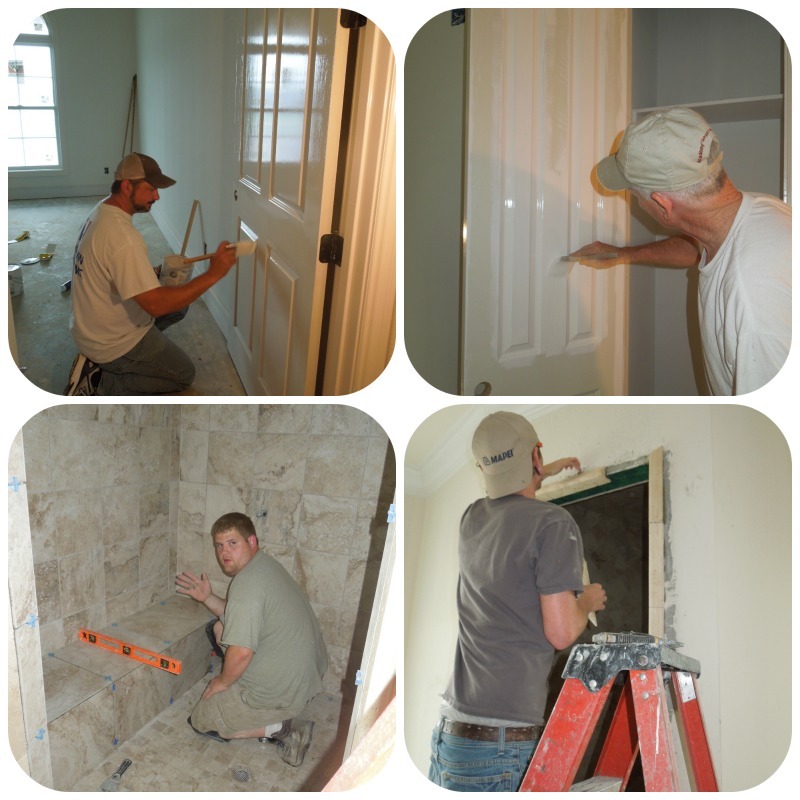 All of your moulding is wonderful. Love class reunions, such sweet memories come to the surface! !